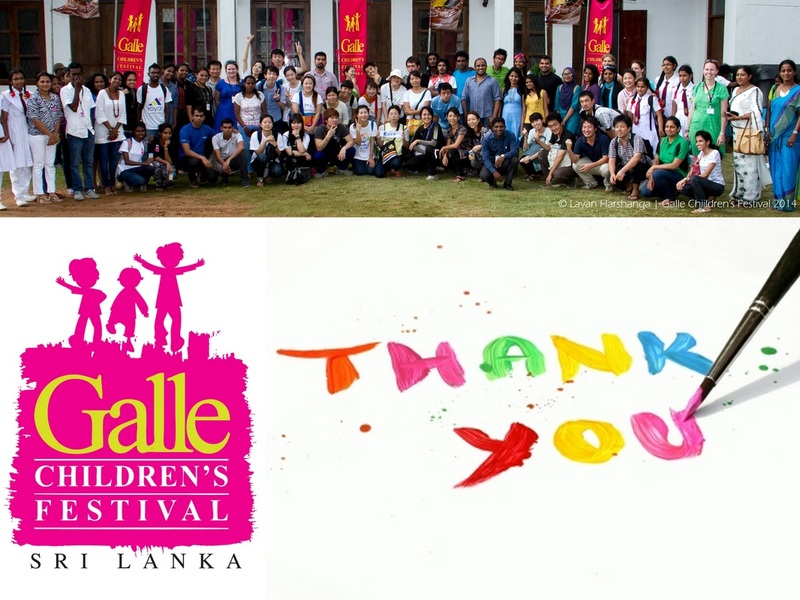 On Saturday 31st May 2014 Suddharma College was a buzz with excitement as over 500 students took part in the latest Galle Children's Festival. Huge thanks to all the individuals and organisations who came out and showed their support! This event offered hundreds of primary and secondary students from 13 schools a day of interactive and innovative workshops. Workshops included Pottery Painting, Taekwondo, Origami, Playback Theatre, Jump Rope, Glass Painting, Story Telling, Singing, Jewellery Making and Crafts. Each child participated in 3 of the 24 workshops listed below. We thank the organisations and individual facilitators who donated their time free of charge to ensure the success of this special event. Local teachers also took part in a full day teacher training workshop run by the Sunday Times. 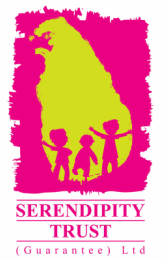 Our thanks also to the Department of Education (Southern Province) for supporting Serendipity Trust’s program of events for children in Sri Lanka. 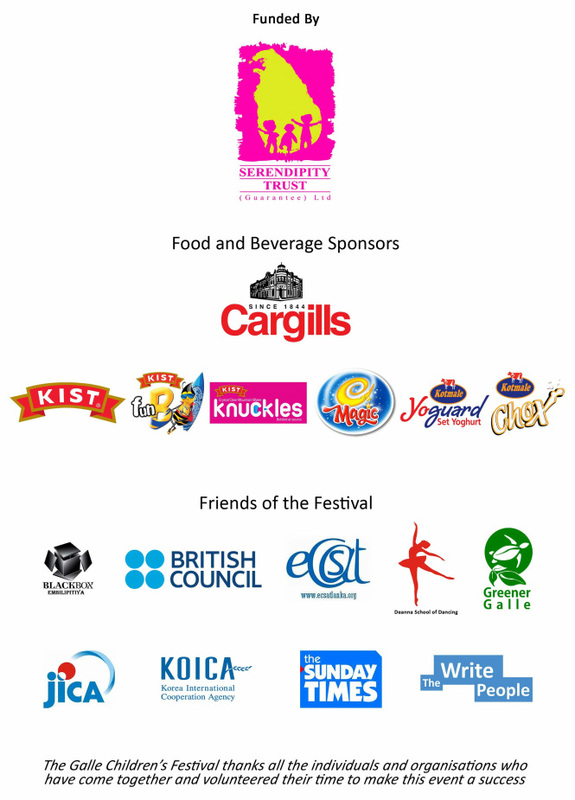 Thanks also to our Food and Beverage Sponsors Cargills and their family of trusted brands Kist Knuckles, Kist Fun B Juice, Kotmale Chox, Kotmale Yoguard and Kist Biscuits! Stay tuned for a full write up and photos of this special event!